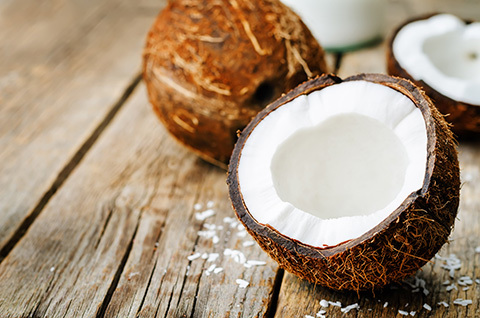 Forget the dreaded Coconut Aldehyde, this is the real deal. It is a semi-sweet material that will follow the route of the other ingredients: add sweetness and it will cherish, put it into bitter or fresh concoctions and it will silently smooth edges, This offering is mostly nutty, as the dried fruit when in high concentration, and turns a bit lighter and refreshing when diluted. Mixing it with Lime for a rendition of a famous drink wasn’t a good idea because of the noticeable nuttiness that has no place with citruses. Blended with gourmand materials, such as Tonka Bean and Coffee, it exudes creamy and buttery aspects. With white flowers such as Ylang Ylang Extra, for instance, it offers a beautiful backbone for what could be best described as ‘something akin to lavish fertility rituals’.